We're booked an AirBnB apartment right downtown and our host Paulina drives us around town and points out some highlights of things we should see. 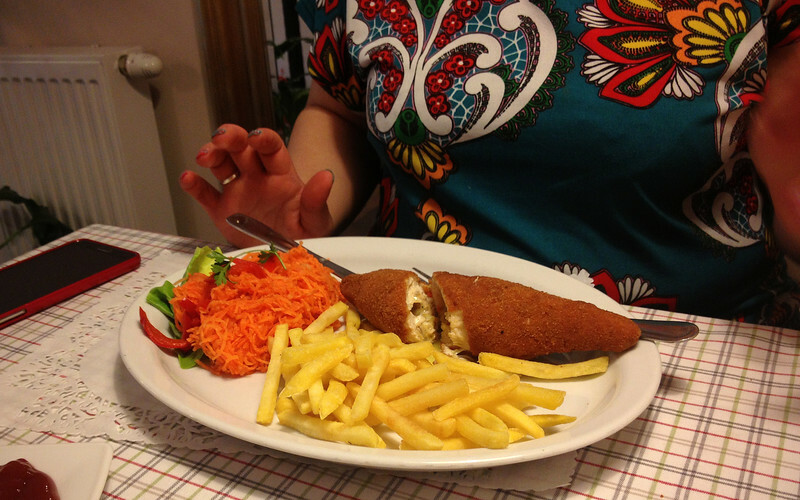 She also takes us out for lunch and shows us some yummy Polish food to try out. 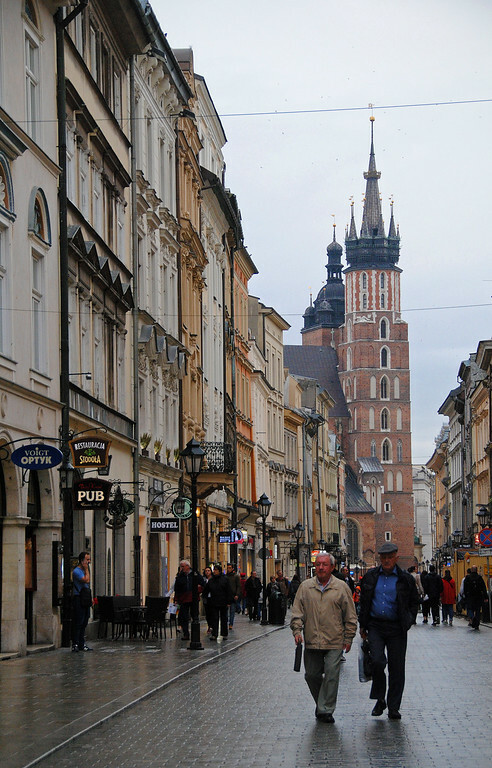 Krakow is nice, but we're using it mainly as a base as we take a day trip to Auschwitz. Our trip to Central Europe is becoming a WWII tour. 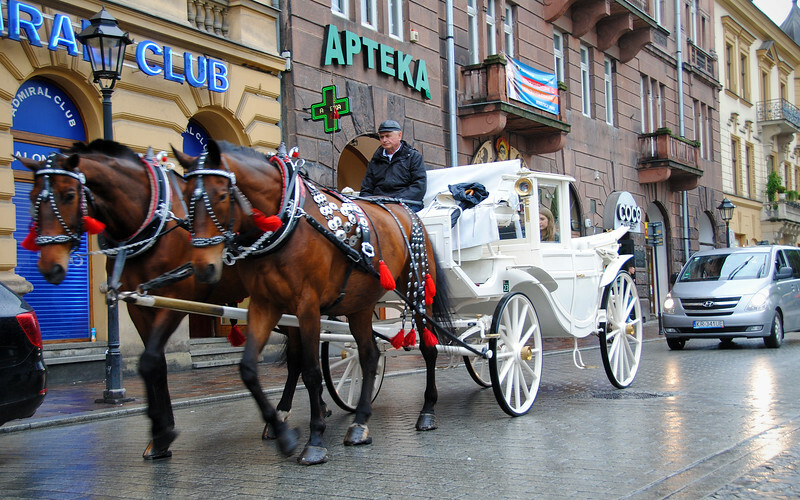 Auschwitz is the German name for the Polish town of Oswiecim, about an hour west of the city. 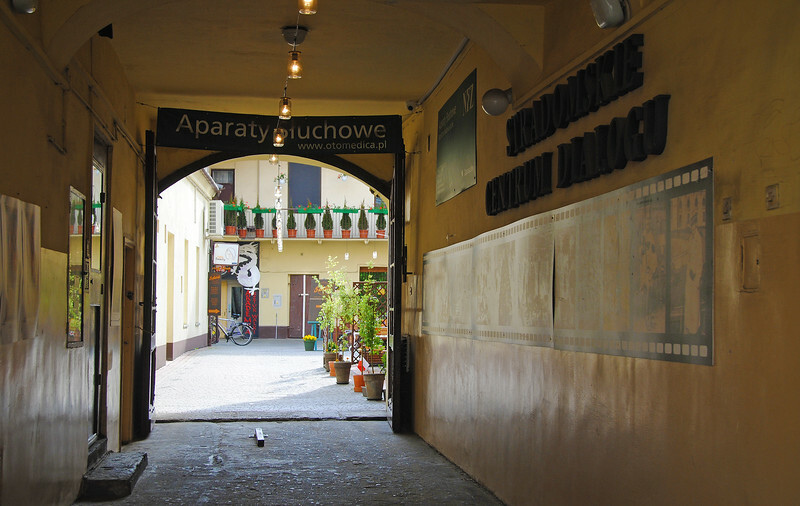 The former concentration camp is now a museum, and is surrounded by modern Poland. A huge supermarket sits 250m from the front gates. The lies the Nazis told to the prisoners of Auschwitz. 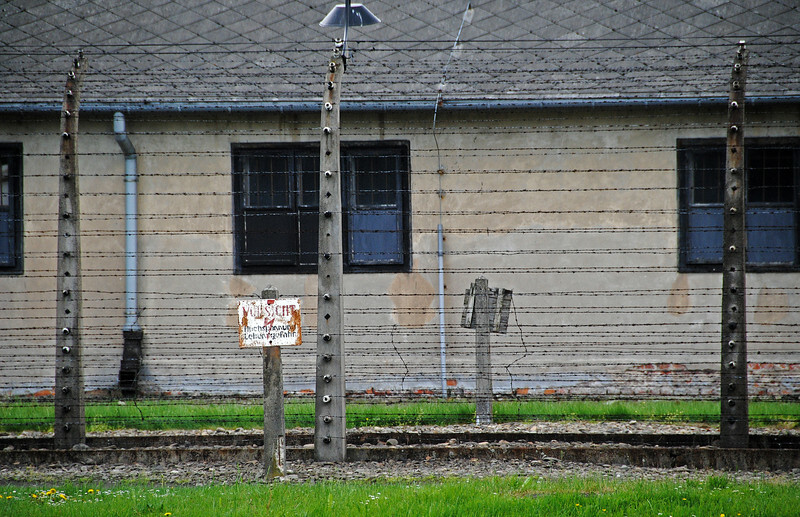 A sign atop the entrance of the death-camp reads: "Work will set you free"
We opted to take the guided tour of Auschwitz and we were glad that we did. Although there are informational signs scattered throughout the grounds and there is quite a lot of history detailed inside the bunkhouses that are now converted to museums, the tour guide that we had gave a lot of chilling background information that made the horrors that much more vivid. 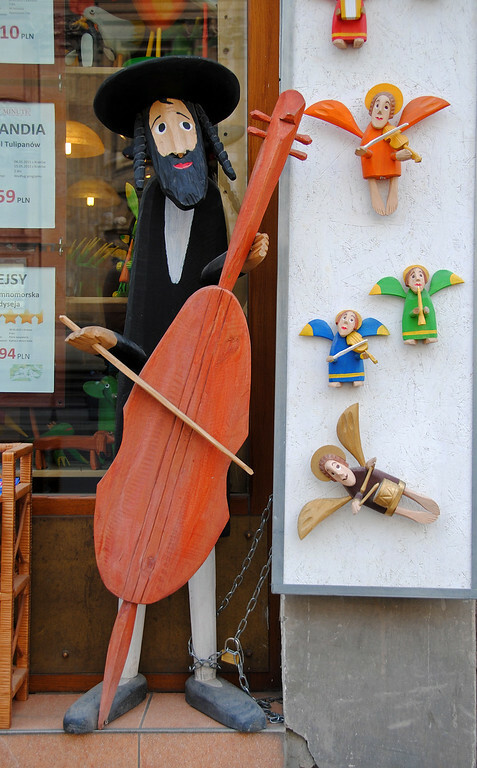 Jews from all over Europe were told that they were merely being deported. 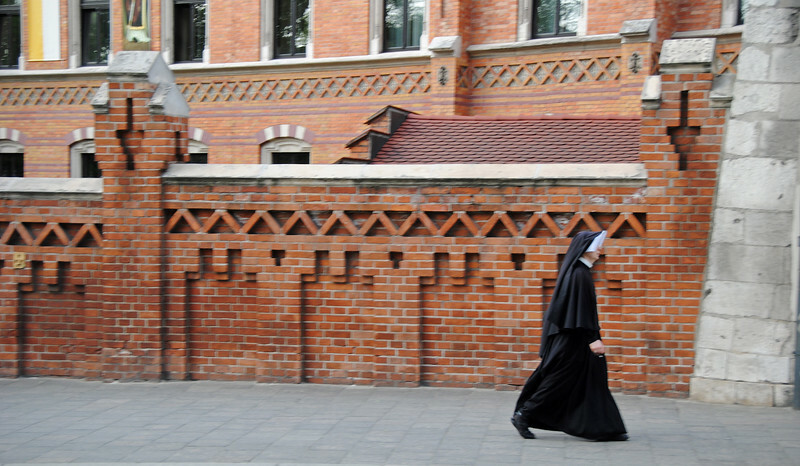 They did not know that a train to Auschwitz was a one-way trip. Very few prisoners escaped Auschwitz, the villagers who lived in Oswiecim were told that they would also be imprisoned for helping any escapees. But there were a few people who got away, and the stories they told which revealed the secret deathcamps in Auschwitz eventually led to some European countries like Hungary stopping the "deportation" of their Jewish population, saving hundreds of thousands of lives. 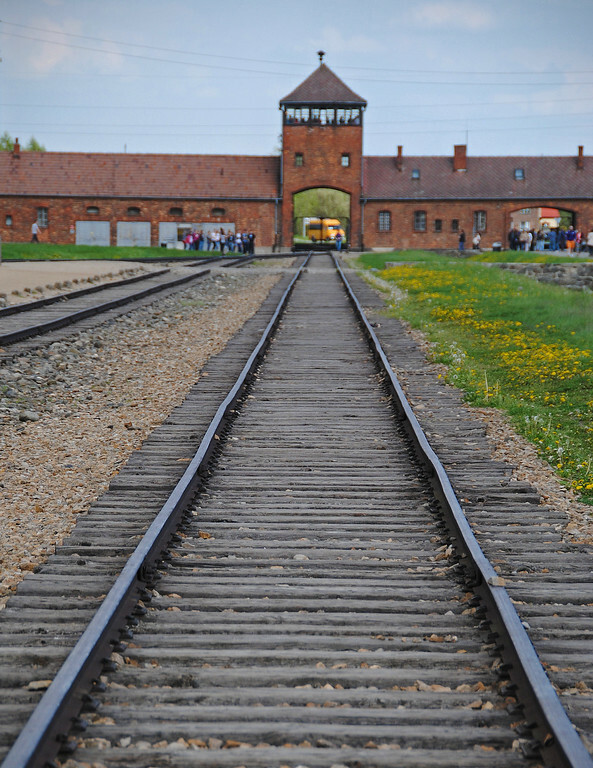 The prisoners being taken to Auschwitz were told to take all their belonging with them. This was a pretense to have them come willingly if they thought they were merely being deported, as opposed to being sent to their deaths. When they arrived, all their possessions were confiscated, the valuables stolen and the rest thrown into large piles. 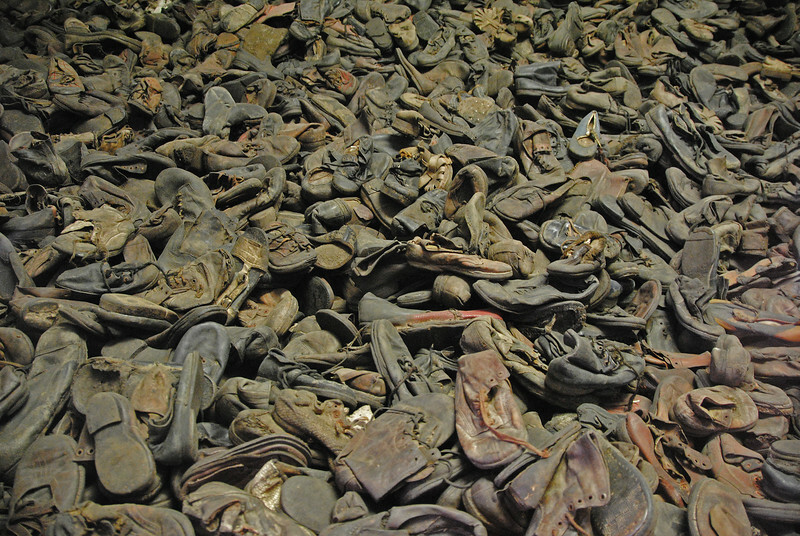 These piles of possessions gave an indication to just how many people were killed in Auschwitz. 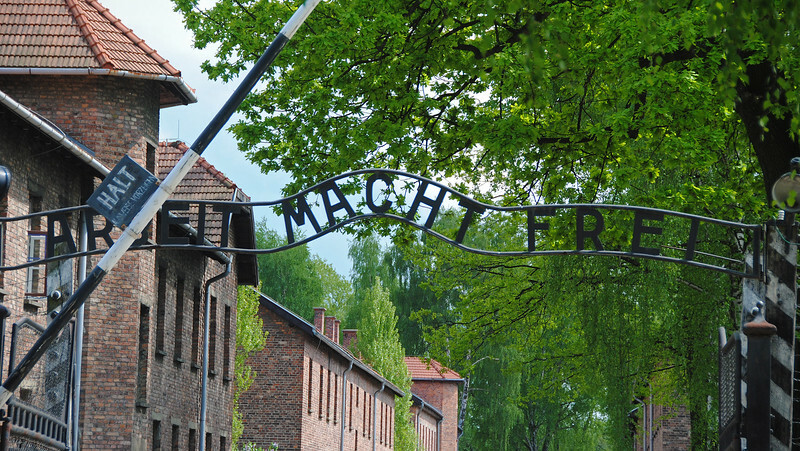 It is estimated that at least 2 million people died in Auschwitz with speculation that the number is closer to 4 million. A large pile of discarded shoes, a lot of childrens' sizes. There was also a pile of human hair which were initially shorn off the prisoners to prevent the spread of lice, but also later to manufacture products made of human hair. Tests reveal that the hair had traces of hydrogen cyanide. They were cut off the prisoners after they had been gassed to death. We were asked not to take pictures of the hair out of respect for the dead. That was not something I wanted to take a picture of. A bus took us on the second part of the tour, a secondary camp built a few kms away to house more prisoners than Auschwitz could handle. 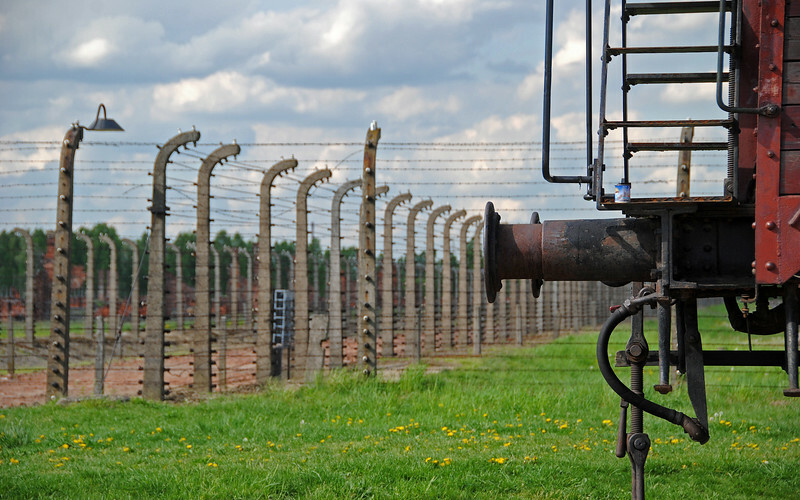 This was the site of many movies made about Auschwitz. The initial unloading of "deportees" were done here. Up to 75% of prisoners unboarding were deemed unfit to work at the camps and were put to death immediately. This made estimating the total number killed difficult because these people were never identified or recorded by the Nazis. Birkenau was where the crematoriums were located. 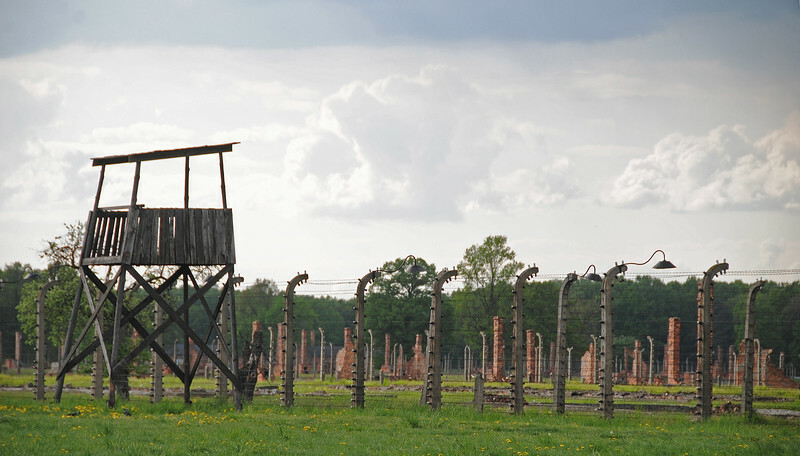 When the war was drawing to a close, the Nazis tried to destroy the gas chambers and crematoriums because they knew they would be judged by history. They knew what they were doing were wrong. So many people were complicit not just in running these death camps, but in the design and construction of such efficient killing apparatus. To move so many prisoners through a machine that could murder and dispose of them in such high numbers. And each cog in that machine, were they all monsters? Or did they go home every evening to sit at dinner with their wives, their sons and daughters, tell them stories before they were tucked into bed, stories that probably had very little to do with gassing millions of human beings and burning their bodies to hide the evidence. I don't believe in spiritual resonance or psychic energy. 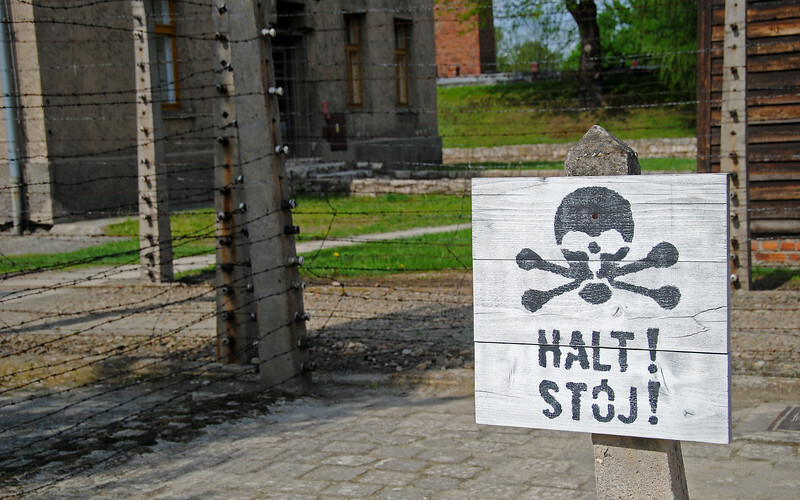 I read about the people's accounts of how they felt negative energy walking around Auschwitz with skepticism. 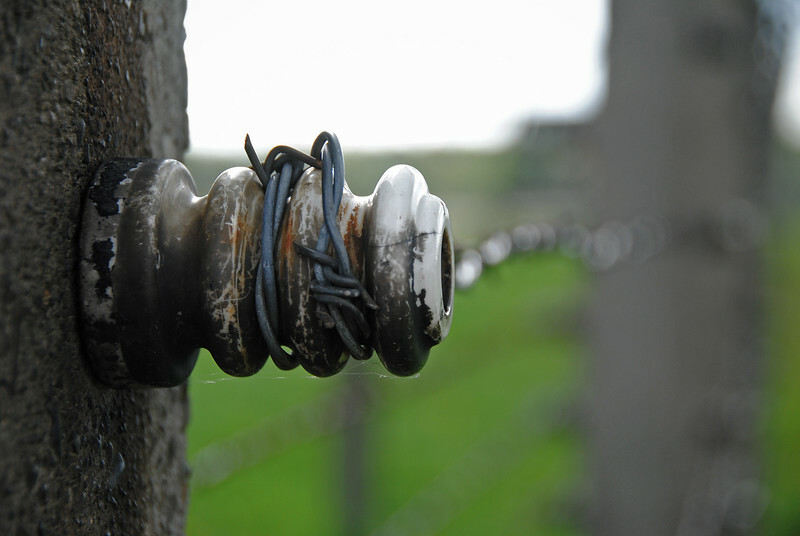 It was a beautiful summer's day in South Poland when we visited the death camp. There are flowers blooming in the fields where prisoners waited their turn to be put to death by poisonous gas. But exiting the museum into that incongruous sun-soaked daylight, not one person in our tour group could speak or smile for quite some time.